Gov. 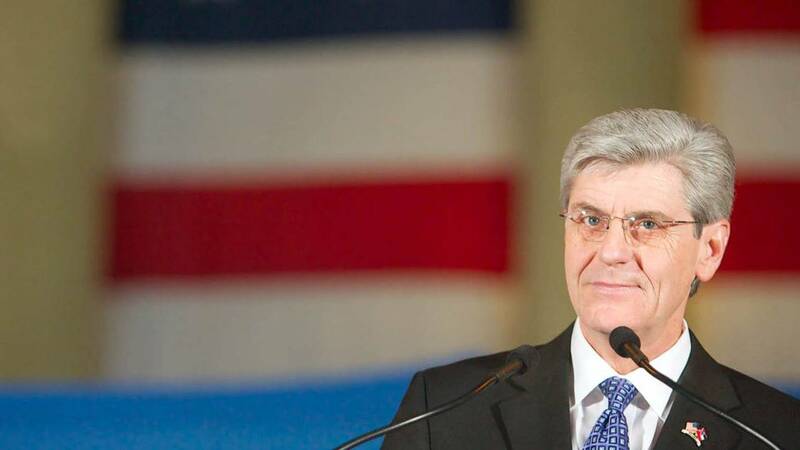 Phil Bryant was elected to a second term last November. His inauguration ceremony is later this morning, with a swearing in at eleven and a parade on Capitol Street later at one-thirty p.m. With us this morning in the studio are Austin Barbour and Brandon Jones -- Republican and Democrat, respectively -- to give us a look ahead at the inauguration and the forthcoming term for Governor Bryant. Welcome, gentlemen. A Clarke County grand jury's decision not to indict a white police officer for the death of a black man has some people saying justice was not served, while other say the facts led to the grand jury's decision. Thirty-nine-year-old Jonathan Sanders was driving his horse and buggy the night of July 8, of last year when a witness said Sanders was detained by Stonewall Police Officer Kevin Herrington. The witness said Herrington used the N-word and pursued Sanders. Witnesses said the two had an altercation. Herrington's attorney said it was a drug stop and Sanders tried to take the officer's gun so Herrington used a choke hold to stop him. The district attorney released the grand jury's report which stated Sanders died from Asphyxiation and Acute Cocaine Toxicity from swallowing the substance. It also said the officer did not use excessive force and there was no evidence racial slurs were used. MPB's Desare Frazier spoke with Frances Sanders, mother of the deceased. The enrollment deadline is Jan. 31, for those wishing to get health insurance from the national health insurance exchange. As of early January, enrollments are tracking just above where they were last year, and to a younger demographic. Kevin Counihan, CEO of healthcare.gov, says those younger enrollees could help with one of the issues some in Mississippi are finding, such as a small number of insurance providers, which seems to have contributed to large increases in premiums in some places. Counihan spoke with MPB's Evelina Burnett.